AIRSCREEN nano - our smallest yet big inflatable screen. The nano does not need a permanently running blower. It just takes a minute to inflate and can be set up and carried by just one person. AIRSCREEN airtight - the AIRSCREEN that does not need a blower when inflated due to its completely airtight frame structure. AIRSCREEN classic - here the blower pumps permanently air into the frame and gives it the stability AIRSCREEN stands for in the market. Click here to get a quick size overview. AIRSCREEN® is so much more than just any inflatable movie screen. AIRSCREEN® guarantees the highest quality possible you expect from the Original invented in 1994 by Günter Ganzevoort. To join the layers of the special AIRSCREEN® PVC fabric, we use the advanced hf-welding process to avoid potential structural weakness caused by perforation of the tube fabric when mechanical sewing is involved. AIRSCREEN's unique hf-welding process creates a rock-solid and stable frame, so the projection surface is always wrinkle free and nicely stretched. Your outdoor movie experience will be as nice as in your favorite cinema - but this time with the stars above you! Choosing AIRSCREEN® is the smart decision for those who seek maximum stability, safety and durability. NOT an AIRSCREEN but another brand! NOT an AIRSCREEN! You won't find a wrinkly screen surface in an original AIRSCREEN! Compare these "competing" products that have sewn seams to our innovative hf-welding from the original AIRSCREEN and you find out why we think sewing machines are meant to be used with textiles. We don't see the reason why there should be thousands of little holes in your new frame! And we know that the pressure released through them will negatively affect the stability. Don't let your event be spoilt by these kind of problems. Go for the Original! Go for AIRSCREEN! Some AIRSCREENS are in constant use for more than 10 years. That's what we call German quality engineering. 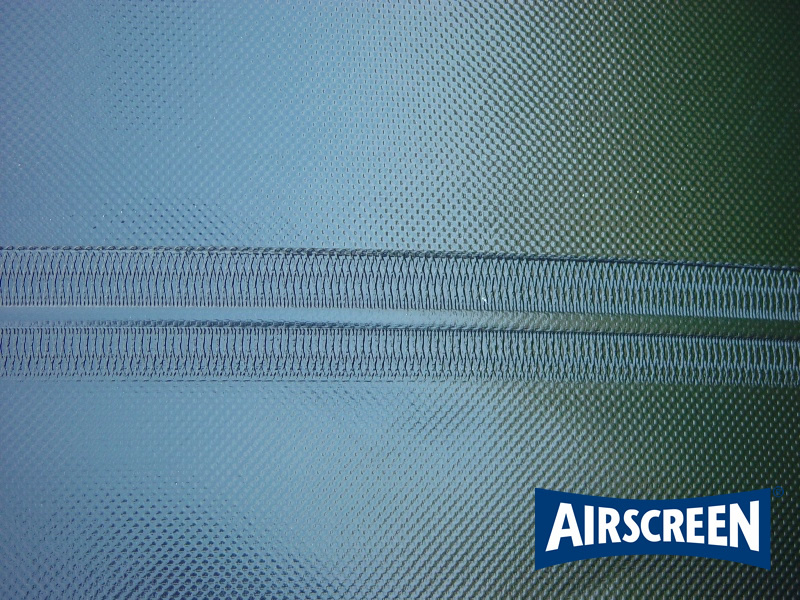 AIRSCREEN uses patent protected high technology.